We talk a lot about the high cost associated with making the trek to the mountain. A huge slice of this being burned off in our gas tanks, which only adds to the negative impact on the environment. Electric vehicles have become more popular over the years (nearly 25,000 drivers worldwide), but just like any new technology, their effectiveness relies on the availability of specialized infrastructure – in this case, charging stations. In an effort to promote greener practices among their guests and staff, Windham Mountain has unveiled an electric vehicle charging station, making it the first resort in New York State to offer the green amenity. The new ChargePoint® vehicle charging station is the only charging station in Greene County, NY. It fills a large geographic gap in charging services, which are confined to more urban areas an hour from the resort in Albany, Kingston and Oneonta, NY. Windham Mountain is now able to offer the service free of charge to a growing number of electric vehicle drivers in the Northeast. Windham Mountain participated in a New York State Energy and Research Development Authority (NYSERDA) program to become a ChargePoint location in New York State. The resort believes that these efforts will lead to significant improvements in local and regional air quality and reductions in the carbon footprint of NYS businesses and institutions. ChargePoint stations currently dispense more than 812 Megawatt hours (MWh) of electric fuel each month; the annual equivalent of 2,000,000 gallons of gas avoided and 30 million lbs. of Co2 emissions prevented. 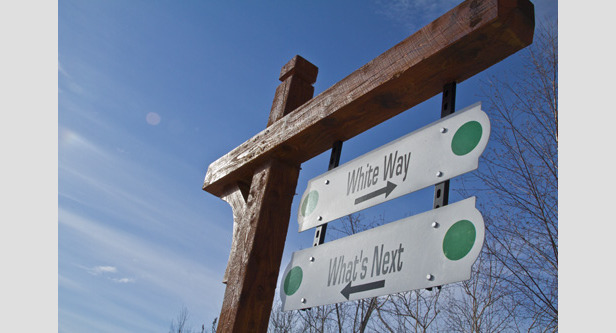 Over the last year, Windham Mountain invested $60,000 in green initiative improvements demonstrating a strong commitment to environmental sustainability. Other initiatives include retrofitting lighting fixtures and upgrading to an efficient heating and cooling system for its base lodge. The changes implemented over the last year have resulted in a major electrical savings, cutting the resorts energy usage by 30-40 percent.